On Saturday 3rd October, Sloane Helicopters celebrated 20 years as the UK and Eire distributor for AgustaWestland – bringing together customers, key members of staff past and present, representatives from AgustaWestland and other invited guests. On display in the excellent Hangar One facility at Sywell Aerodrome was an A109E Power, while outside were an EMS GrandNew, a Robinson R66 and a Westland Widgeon, more of which below. 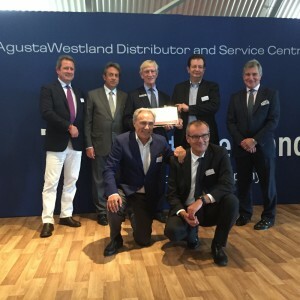 AgustaWestland had promised an AW169 but that was apparently thwarted by the weather, which was a great pity. 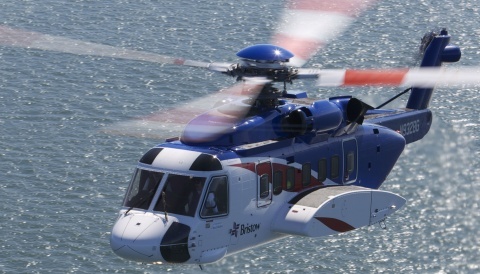 By comparison, the previous dealer Alan Mann Helicopters only sold 15 A109s in the same time Sloane sold 69, so AgustaWestland must be very pleased with the sales record of their distributor. Sloane have also been the UK and Eire distributor for Robinson, and were involved with founder Frank Robinson from the very early days of the company – and started the ball rolling in the UK with R22 number 0018. 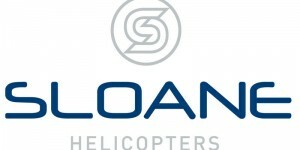 The link between Sloane and AgustaWestland actually goes back much further though. David George bought his first helicopter in 1969 – a Bell 47J licence built by Agusta in Italy, chosing the J model because he often flew with his pet labrador dog and wanted to keep it further away from the controls and leaving it to occupy the rear bench seat intended for three passengers! 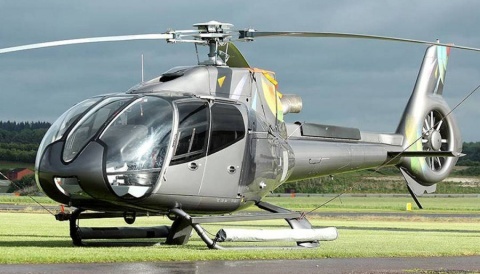 That particular helicopter, built in 1959 and registered G-APTH when in the UK, continues to fly in Germany as D-HELT and HeliHub.com research suggests it is the oldest flying Agusta-Bell 47J in the world. Sloane also managed to go one better than AgustaWestland managed for their own 100 year celebration at Yeovil back in the summer, with the presence of a 1953-built Westland Widgeon, G-ANLW, also owned by the company Chairman. While this helicopter no longer flies, it is in excellent condition and the engine does fire up – amid an awful lot of smoke, I’m told. 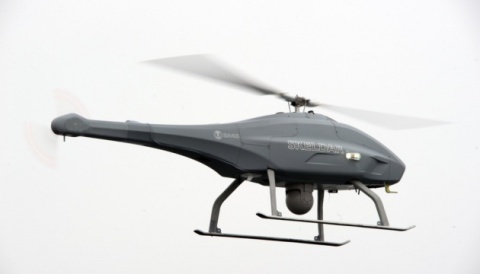 AgustaWestland did not have a Dragonfly or Widgeon present at Yeovil for that event. The Widgeon marked the first helicopter in the UK which could really be operated in an executive role, and had space for a pilot and four passengers in an interior regarded as luxurious at the time. Its cruise speed of 83 knots seems very lowly now, and is more than doubled by the AW109SP GrandNew which has a quoted max speed of 168 knots.